5 Scottish clans are competing for dominance, each trying to take away the best swaths of land from one another, and selling off the unpleasant ones for a lot of money! Before the start of the game, 4 of the available 16 scoring tiles are randomly selected and placed on the scoreboard in positions A through D. Each scoring tile will be scored 3 times during the game. After round 1 only the A tile will be scored. Round 2 scores tile B. Thereafter scoring gets more interesting; with scoring tiles A and C scored after Round 3, tiles B and D after Round 4, tiles A, C, and D after Round 5, and finally tiles B, C, and D after Round 6. There is some additional scoring for certain landscape tiles with scroll on them and for money held after the round. Each round starts with an income phase. There the fun begins. Each player draws 3 landscape tiles randomly from a bag. Players then simultaneously and secretly decide which of one of their three landscape tiles to discard and the price of their remaining two. When all players are ready, they lift their player screens to reveal discards and prices. Next, in turn order each player has the opportunity to buy 1 and only 1 tile from another player at that player’s set price. After each player makes a buy decision everyone must buy any of their landscape tiles not purchased by an opponent at their set price. Players now place all of the tiles they acquired this round on their island. Terrain types must match when placing a tile, i.e. mountains must join up to mountains, pastures to pastures, water to water. The only exception is roads which do not have to follow the placement rule. Scoring takes place once the tiles have been placed. A new round now begins. 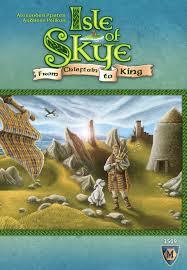 Isle Of Skye is a tight strategy game. Money management is critical. The first player each round needs to hold enough money to buy a tile before their tiles are sold. Pricing tiles is a real mind game. Too high, they may not sell. Too low, a player could be short of money in the next round. 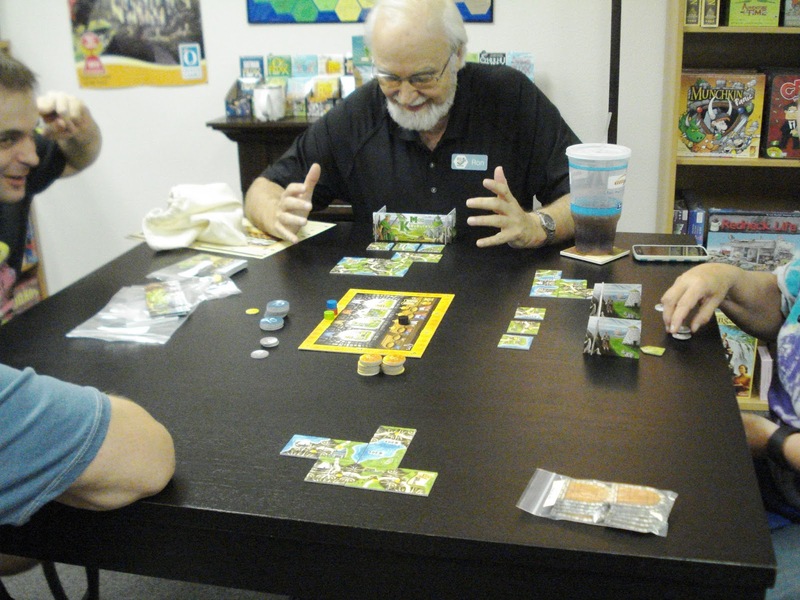 With 16 scoring tiles available, the game comes packed with replayability.